Is a complete solution for financial and banking industry to avoid and track the identity and fraud which is a major concern now a days in all over the world. 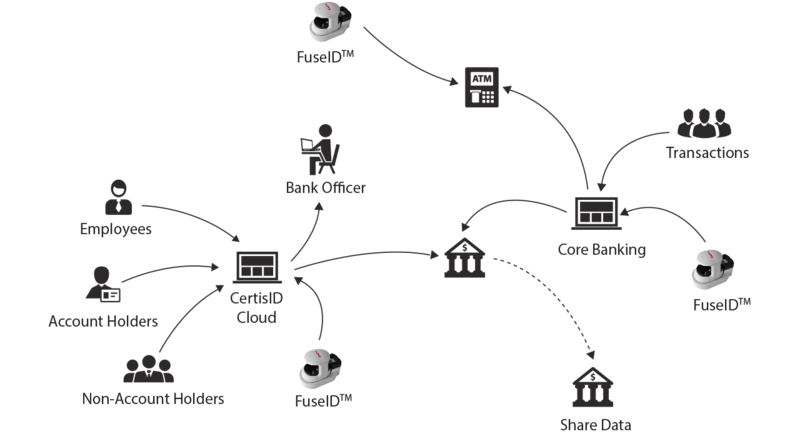 The system is capable to help the Banks/Organizations to enroll a new Visitor through their Biometric data where with the existing system, there isn’t any validation for Non-Account Holders which can be resolved by CertisID very efficient. The system will not only ensure whether a genuine customer is doing transaction against his/her account by biometric identification but also record all non-account holders into the system to track their activities through built in AI functionality within CertisID. Also, the Employees will be accountable for their activities through the system if Single Sign On solution is added besides the CertisID system.